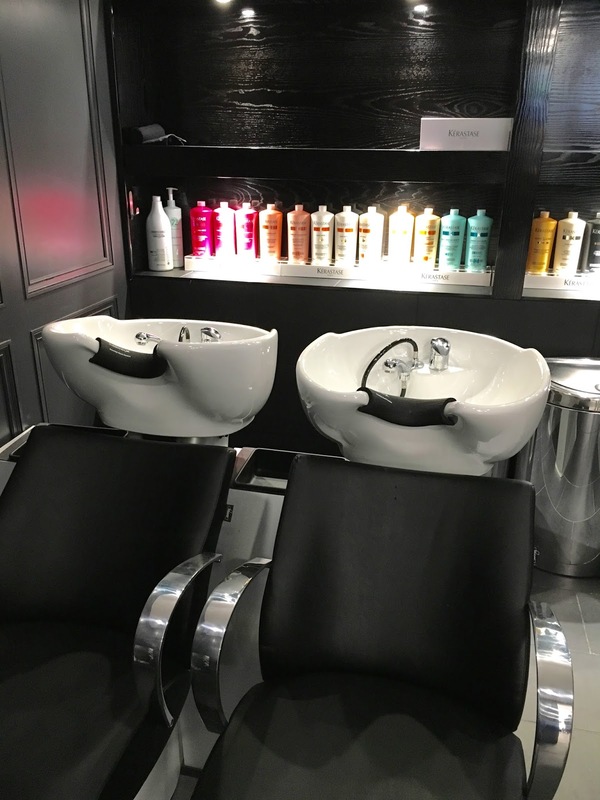 A new salon has arrived in Leicester. RUSH. Located on High Street in the city centre so it's easily accessible for everyone. 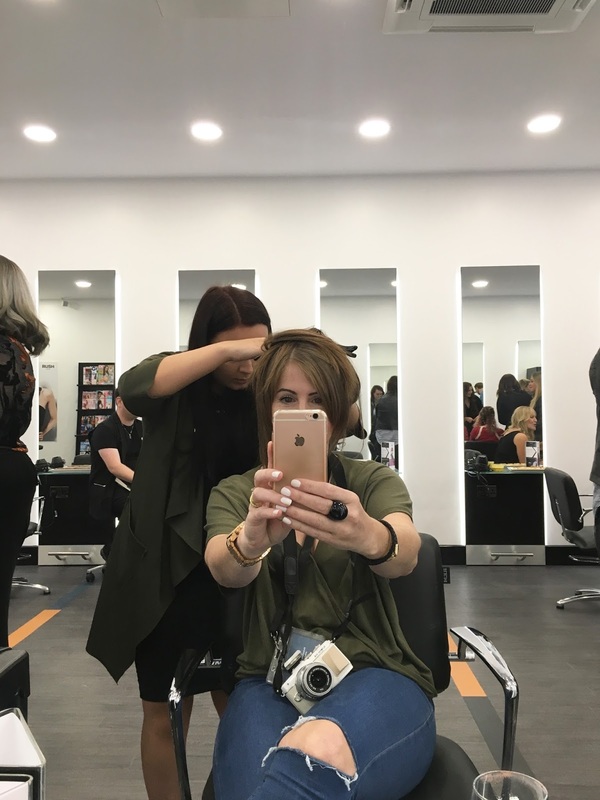 Last week I was invited down to their preview event so we could have a chat about their shiny new salon and talk all things hair! 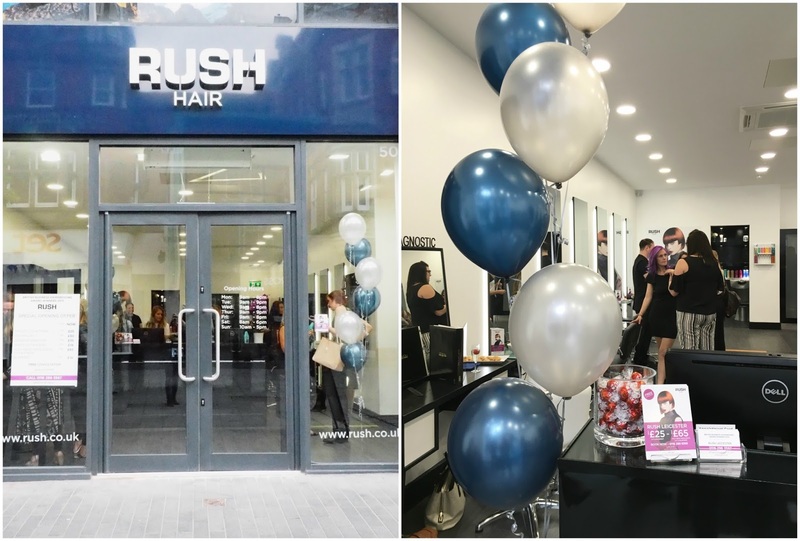 RUSH Leicester has been opened by franchisee Sandra Hopkins who has a wealth of salon experience under her belt and of course she can't run the show without a great team. And a great team they are. 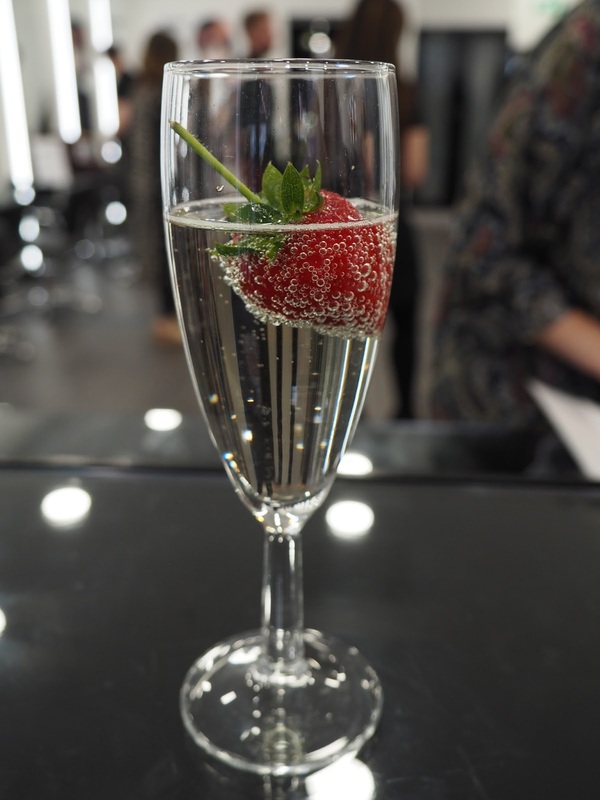 After being greeted with a glass of fizz (and tempting nibbles) we were left to mingle and chat with the stylists. They had lots of different stations allowing us to sit and chat about colour at the colour station, (obviously!) have our hair curled at the GHD station, or get plaits or buns at the style station. The stylists were happy to chat about products and items that would suit you best for using at home. They're all extremely knowledgeable and happy to help and guide you in the right direction with whatever you're after for your hair. The salon is bright and modern and quite big actually but then in contrast, although still modern, the wash basins are tucked away at the back of the salon in a little room with a handy dimmer switch to offer that zen-like experience when having your hair washed and your head massaged. And relax. The salon officially opened on the 13th August and they have some amazing opening offers, that are on for a good few weeks I believe. If you're in the market for a quick trim or a drastic transformation then give them a call or pop in for a chat. You can find details of their very reasonable prices on their website here. You can also book yourself an appointment on line. How easy it that?! Thank you so much for the invite, the very generous goody bag, and I wish Sandra and her fabulous team lots of success for the future.